Jungle Gym Panther Pull by Ware Mfg. The Panther Pull toy offers the perfect game of tug of war with kitty. 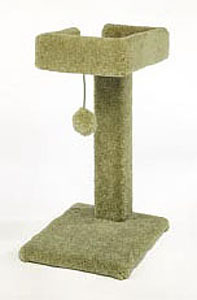 Natural feather and rope construction offers wild fun that stimulates healthy feline hunting instincts. Please Note: Shipping quoted at checkout for this item will not be correct, we will contact you with actual shipping charges before we process your order.